Posted by Dan Aug. 19, 2016 6 a.m.
One school of thought equates suffering with dignity. Another labels suffering a bit more precisely: as a struggle against pain and angst and a desperate plea for release. Neither, however, is the point of the documentary “Gleason.” Oh, the subject of the film – former New Orleans Saints football player Steve Gleason – has a massive amount of dignity. Not to mention pride, as well as an earnest desire to be a good father, even if he’ll never be able to hug his son or even speak to him in his natural voice. And for sure, director Clay Tweel spares neither Gleason nor his wife Michel – nor us, for that matter – in his depiction of Gleason’s multiple-year decline to the debilitating disease Amyotrophic lateral sclerosis, or ALS, popularly known as Lou Gehrig’s disease. Gleason, a Spokane native who played football both at Gonzaga Prep and Washington State University, earned fame for a single play. On Sept. 25, 2006, the Saints played their first home game in 21 months, slightly more than a year after Hurricane Katrina. During that game, Gleason blocked a punt that a teammate returned for a touchdown, the first score in a game the Saints went on to win and that set the tone for their best season to that point – a tone that would, three seasons later, carry them to an NFL championship. Gleason would be gone by then, his eight-year NFL career over. And while the end of every athlete’s playing years is sad, far worse news was waiting: In 2011, Gleason was diagnosed with ALS. Shortly after that, Gleason began recording videos sharing his thoughts, both about what he was enduring and specifically leaving messages to his son, Rivers, who was born 10 months after Gleason received his diagnosis. And if there is a theme to “Gleason” the movie, it’s that sense of legacy, especially regarding the father-son connection. Gleason and his brother, Kyle, talk about their own parents’ tumultuous relationship, which ended in divorce. And Gleason’s father, Mike, shows up, apologetic about his own parental failures but still somewhat clueless about his son’s feelings. Cluelessness is not what Gleason wanted for his own son, especially not about a father who many would characterize as a “hero” – for his football exploits, for his fight with ALS and for the work his Team Gleason foundation has done to help other ALS patients. He wanted his son to know the plain truth. So as his body deteriorated – leaving only his mind untouched – Gleason made video after video, expressing his feelings – his fears, his hopes, his love both for his wife and for his son. Director Tweel fills his film with many of those moments, pared down from hundreds of hours, along with shots of Gleason undergoing a series of procedures that would test the patience of Mother Theresa. “Gleason” the documentary, then, is not simply another inspiring story of one man’s valiant fight against disease. In the end, it is real and raw, a true tale carrying its own kind of dignity. Posted by Nathan Aug. 3, 2016 1:52 p.m. It seems like theaters have been filled with nothing but superheroes and supervillains for the last few months, but this weekend brings about the final comic book movie – and, arguably, the last major blockbuster release – of the summer. 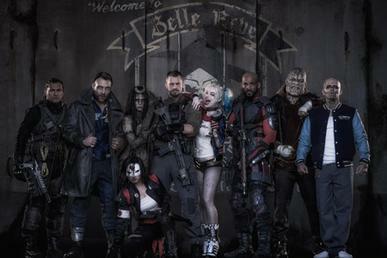 “Suicide Squad” – After the boondoggle that was “Batman v. Superman,” the folks at DC try their luck with an all-star cast of bad guys who are assigned to fight even badder guys. Early reviews are middling, but it will no doubt make a boatload of cash anyway. “Gleason” – I saw this documentary about Spokane native Steve Gleason, a former NFL player living with ALS, at the Seattle International Film Festival, and it’s still fresh in my mind. Emotionally wrenching, but nonetheless uplifting. “Nine Lives” – Remember the 1980 comedy “Oh! 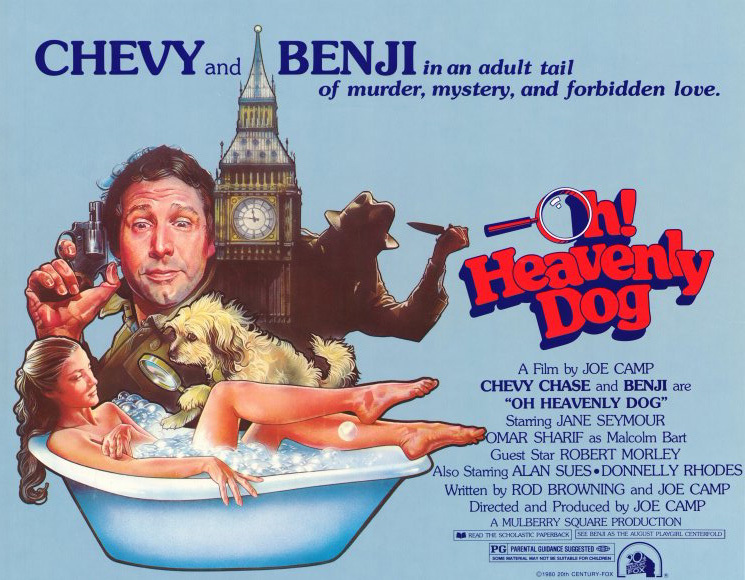 Heavenly Dog,” in which Chevy Chase is murdered and reincarnated as Benji. No? Well, whatever, here’s a movie where Kevin Spacey gets turned into a cat. “Wiener-Dog” – The latest from drolly misanthropic director Todd Solondz (“Welcome to the Dollhouse,” “Happiness”) is a quartet of stories involving an unfortunate dachshund and its various owners. You can read my review of the film, which I also saw at SIFF, here.